Even though the thermometer has yet to dip below freezing this month, Buzzr is making sure the holiday season will be merry and White. 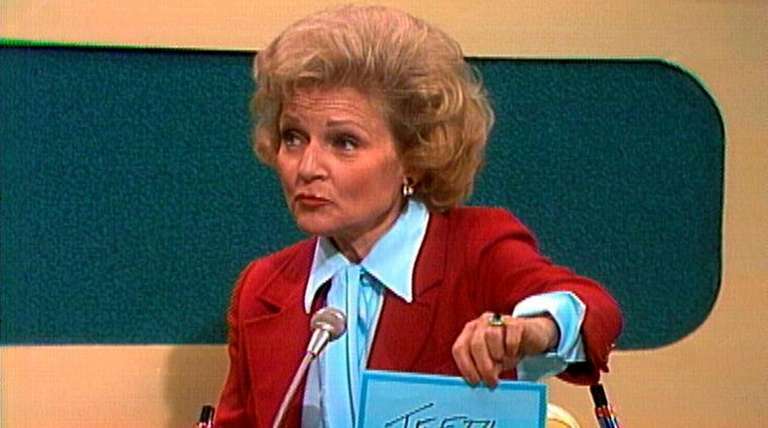 Though White is probably best remembered for Emmy-winning work on “The Mary Tyler Moore Show,” “Golden Girls” and “Hot in Cleveland,” she spent even more time starting in the 1950s serving as a celebrity guest on game shows. She even snared a big prize on one of those programs — after appearing as a guest on “Password,” she and host Allen Ludden fell in love and were married from 1963 until his death in 1981. Another prize was the Daytime Emmy White won as host of the short-lived 1983 game show “Just Men!” It was the first time a woman won in that category. Garfield hopes that if “A Betty White Christmas” gets enough positive feedback, it could become an annual tradition. He’s especially excited about the all-day Betty-palooza that will serve as the grand finale and will feature a few surprises.